2018 NHK Taiga Drama “Segodon (Saigo Takamori)” (now updating) | Kagoshima Love! NHK Taiga Drama in 2018 is Saigo Takamori. 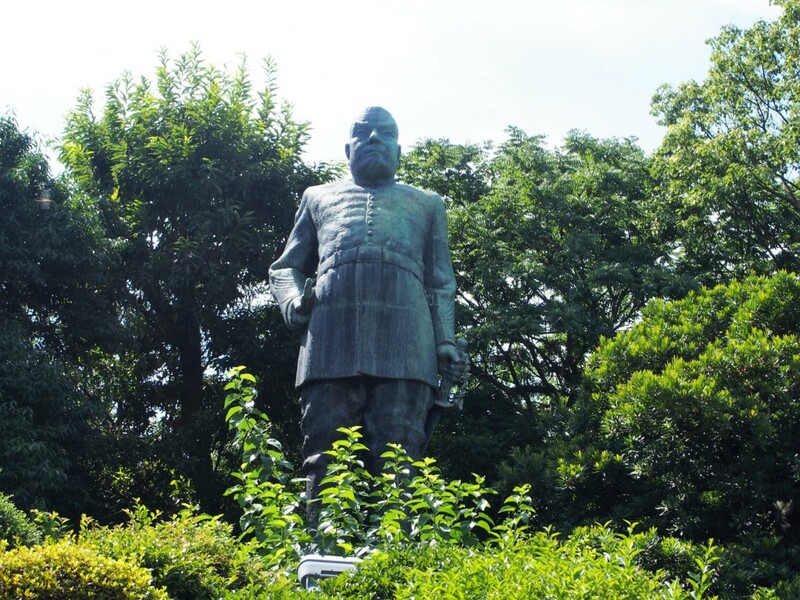 He is the great contributor to the modernization of Japan and a historical hero of Kagoshima Prefecture. I am happy since he and I are from the same prefecture. In the drama, a famous actor Mr. Suzuki Ryohei plays role of Mr. Saigo. I think that many people get interested in the drama and Mr. Saigo, so I decided to prepare travel guide articles for those travelers. 3 ２．Visit Travel Sites of Saigo’s Lifetime! In 1863 Anglo Satsuma War occurred between Satsuma Domain and the Great Britain. 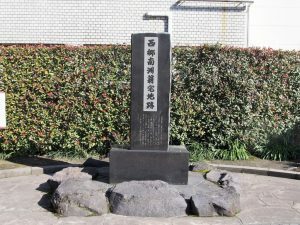 Satsuma had suffered from the lack of human resources and this war contributed to the return of Saigo Takamori from the exiled place Okinoerabu Island to Satsuma Domain. By taking Yorimichi Cruise of Sakurajima Ferry, you can view Kanze which had been fortified with stone walls during Anglo-Satsuma War. Many Japanese people learn his face at school, but actually the portrait is not him. 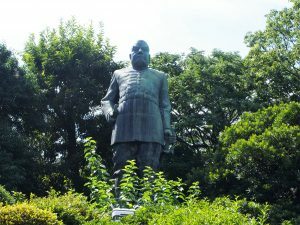 Speaking of Saigo’s statue, the statue at Ueno Park (Tokyo) is very famous. 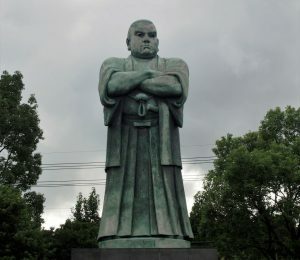 His statue also stands in his hometown Kagoshima. He puts in military clothes. The Saigo’s Statue at Saigo Park (Kirishima City) near Kagoshima Airport is the biggest human statue in Japan. Saigo wears traditional Hakama. 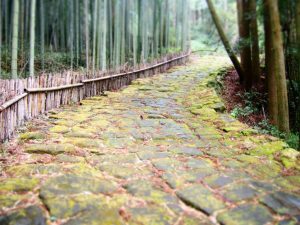 ２．Visit Travel Sites of Saigo’s Lifetime! 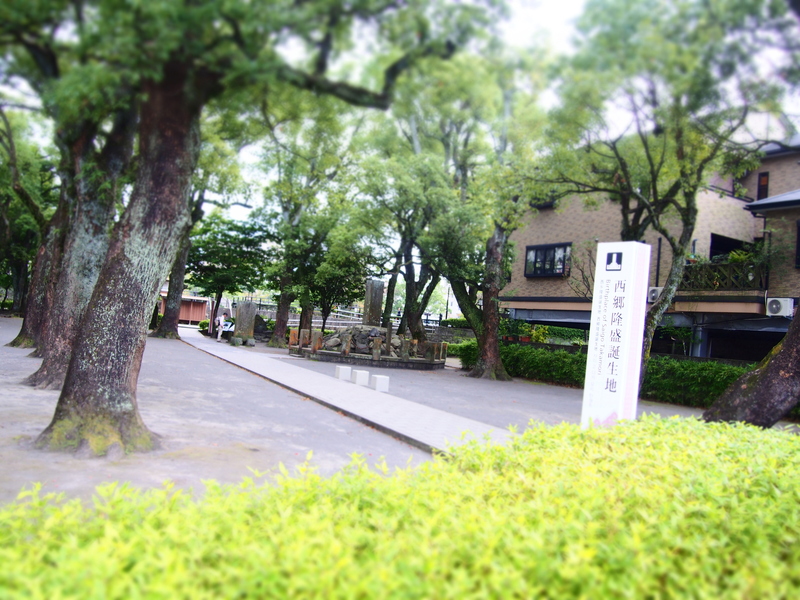 In 1828, Mr. Saigo was born at this place of Kagoshima City as a son of Samurai family of low class. 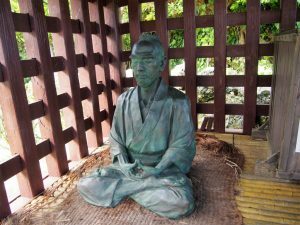 Saigo Takamori practiced meditation training with young fellows such as Okubo Toshimichi. Saigo sold the former house and moved to the 2nd house with his family. Saigo engaged in agriculture to get income at the site. 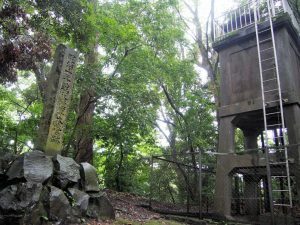 Mr. Saigo and his friend Buddhist priest Gessho jumped into Kagoshima Bay to commit suicide in 1858. Only Mr. Saigo was rescued. He was imprisoned in Okinoerabu Island for 1.5 years after imprisonment in Tokunoshima Island for 2 months. 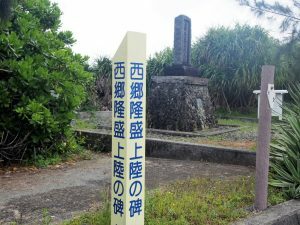 His prison mark has been left at Wadomari-cho of Okinoerabu Island. He returned to Kagoshima after Meiji Restoration. 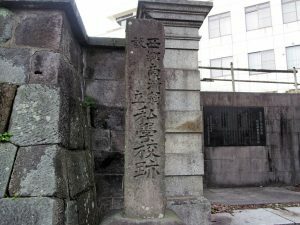 His residence was located near Kagoshima Chuo Station. Seinan Civil War took place in 1877. The war was the last battle of Japanese history. Saigo Takemori leds his 6,000 army and headed to Kumamoro Prefecture. The way which they passed has been preserved as it had been at that time. Seinan Civil War (1877) was the last civil war in Japanese History. Headquarters of Mr. Saigo’s Military. His popularity has never ceased even after his death. He finally became a God! Best friend and rival of Saigo Takamori. He contributed to the Taisei-Hokan or the return of authority from Tokugawa Mirlitary Government to emperial family. Japanese actor Eita played his role in the NHK Taiga-drama “Atsuhime (Princess Atsu). 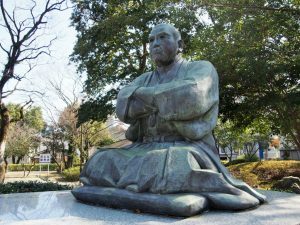 His statue stans in front of Saigo Takamori face to face. He was the 28th leader of Shimadzu clan and the ruler of Satsuma Domain. He chose his smart subordinates including Saito Takamori regardless of their social classes. Nariakira is also the inventer of Japanese “Hinomaru” flag. Terukuni Shrine (Kagoshima CIty) worships him. 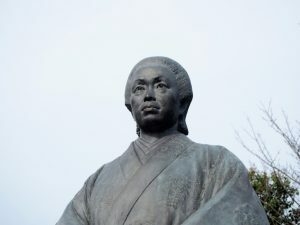 He is known as the Father of Osaka. Many Japanese ladies cried for his death when Godai died at the NHK morning TV drama series “Asagakita”. In the drama, Mr. Dean Fujioka playes the role of Godai. Princess Atsu is the wife of 13th lord of Tokugawa Shogun. Actress Miyazaki Aoi played her role at the NHK drama series. Princess Atsu made great contribution to the continuation of Tokugawa family and peace of Japan. Saigo loved Nakajima Spa (Hioki City) and visited the spa three times. When Saigo stayed at Unagi Spa, Eto Shinpei asked Saigo to fight against the Meiji Government. Following video shows “Kawara-soba” or famous food of Yamaguchi Prefecture. The food has the relationship with Saigo Takamori. 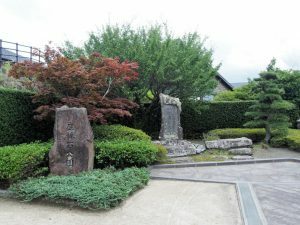 In 1877, the Satsuma forces led by Saigo Takamori surrounded Kumamoto Castle. During that battle, Satuma forces baked wild grasses and meats on Japanese roof tiles. The Kawara Soba noodle derives from this story. Seaweeds, radish and egg are put on the tea-tasted soba noodles. I made a map which indicates the travel sports regarding Mr. Saigo Takamori. 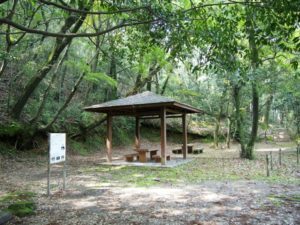 I hope this will help your travel in Kagoshima, Japan! KIIRE OIL BASE, very important oil storage for the survival of JAPAN!